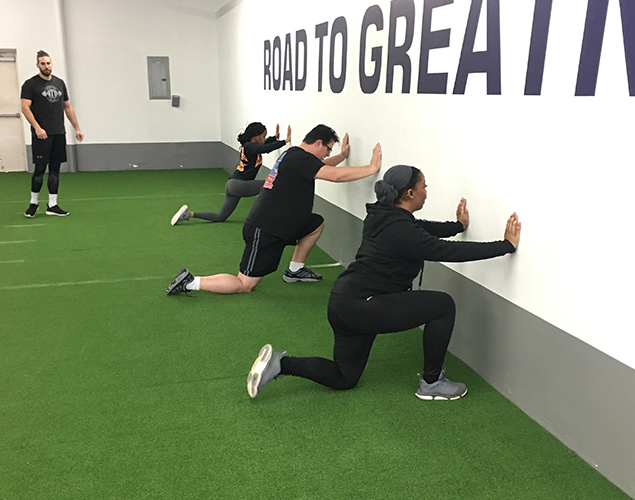 In our hour long private training sessions, you will be working 1 on 1 with a highly qualified trainer who will take you through an evaluation process and then work with you to improve any areas needing improvement on. This is 100% personalized and will lead to better overall performance in your sport or in life! 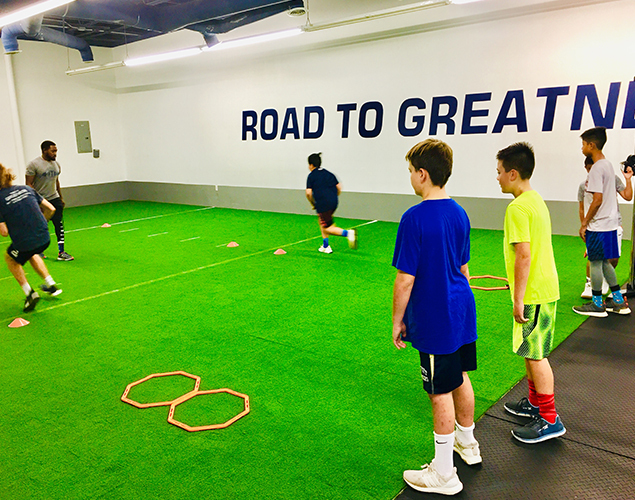 Our athlete classes are in a group setting with no more than a 6:1 athlete:trainer ratio, making sure that each athlete gets the proper attention and instruction. This package is broken down into strength specific, agility specific, and speed specific classes! The combination of these classes are geared toward making the best possible all-around athlete no matter the sport! Ever heard the saying speed kills? That’s because you cannot beat speed. Speed is a skill that can be learned and improved greatly. Through our hour long speed classes we will work on running mechanics as well as lower body power output. Various sprinting mechanic drills will be implemented to allow us to use our bodies as efficiently as possible. 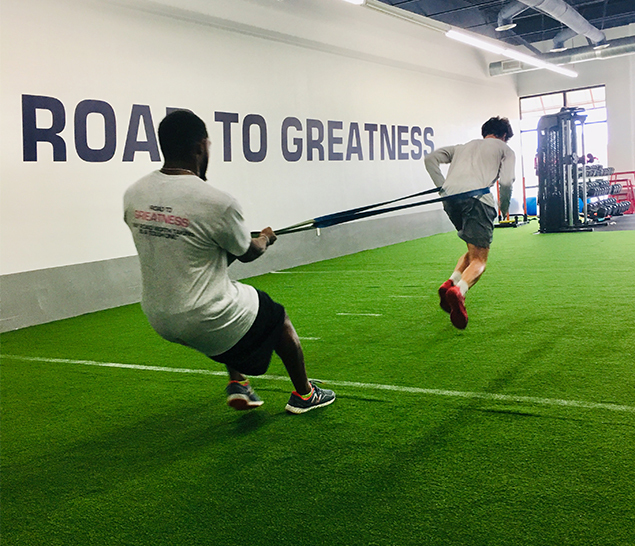 Combining incline and decline speed work will help increase stride length and frequency, the two biggest factors in being as fast as we possibly can. Outside the sprint work, we will utilize various lower body plyometric exercises as well and resistance band work to improve our overall lower body power output. Being incredibly explosive with our lower half and running with the perfect mechanics will have us looking back at the competition! Muscular strength and endurance are the foundation for athletic performance. The stronger we are the more explosive we can be and in turn allows us to run faster, get in and out of cuts quicker, hit/ throw harder, jump higher, and much more. 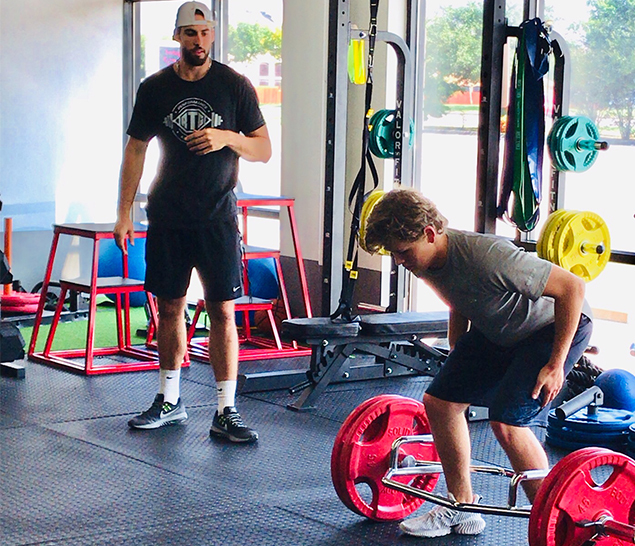 Strength participants will receive an individualized/ sport specific strength program that will be tracked and continually adjusted to best suit the athlete. The program will incorporate general and sport specific strength, lower and upper body power, core strength, flexibility, and mobility. All geared towards improving performance and preventing injury through a stable, balanced, symmetrical body. The strength program will make you look and perform like an elite athlete! The ability to act quickly and control our bodies in every direction and situation is vital for athletic success. In our hour long agility classes we will improve lower body power and overall body control as well as reaction time. Through lower body plyometric and resistance band progressions there will be a huge increase in lower body power output. This will allow us to accelerate quicker and run faster in turn helping us get in and out of cuts much quicker and more efficiently. 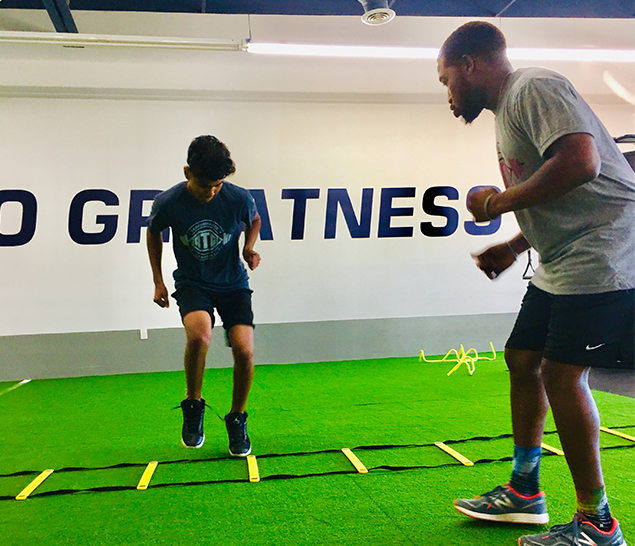 Through various footwork progressions, whether it is ladder, hurdle, or cone drills, we will learn to control our bodies in all situations and directions. As well as the physical aspect, the cognitive aspect is just as important. Using various reaction time drills and running drills off of specific cues will teach us to absorb and process information at a faster rate. The combination of these three skills will make you a serious threat to the opposition in any sport! Session by Session is $25/Session. 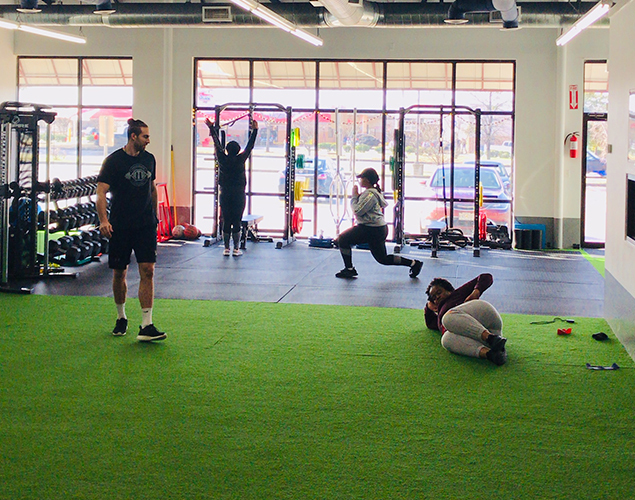 In our functional fitness classes, we will put together fun, smart, and effective workouts for groups of up to 12 individuals. These classes aim to improve your long term health as well as give you the image that you are looking for! 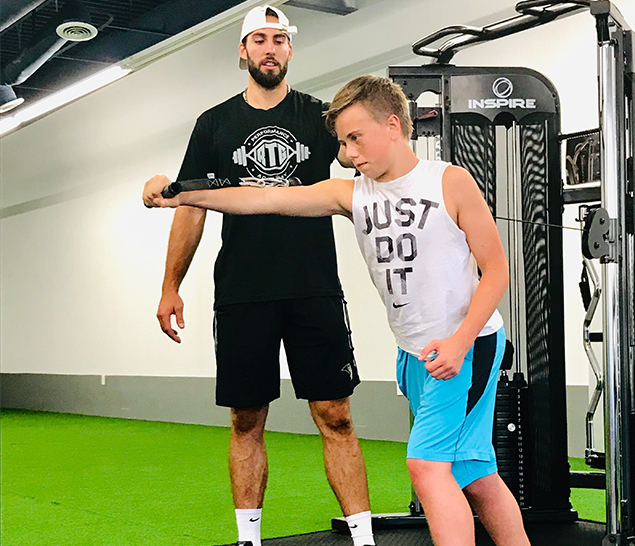 Through an educated, science-based training approach we will cover all the different areas of health & fitness such as strength, mobility, and stability, along with balance, coordination, and body control! We make sure to incorporate these aspects at the pace and level of each individual to allow for any and all to participate! The Functional Fitness classes are a way to get a great workout in while having fun and meeting people with the same interests and goals! You will also come away with an understanding of how our body works, and how important proper training is in terms of long term health and living the life that you deserve! Our team training allows for many benefits. It is a great way to improve team chemistry as teammates have to help push each other to their limits. 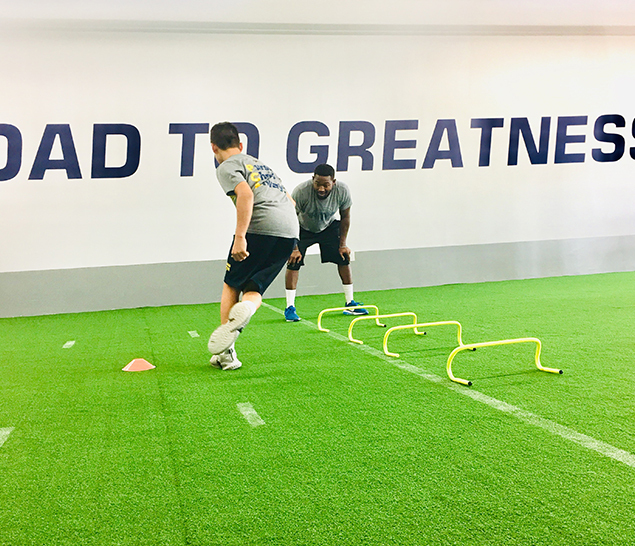 With a balance in speed, agility, and strength work you can be sure to see a huge leap in the level of play that the team puts out! 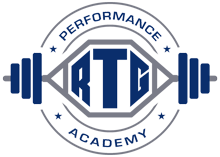 With our large video bank of exercises and our expertise in programming you can train smart and effectively anywhere in the country!